Master the process of selecting and applying cutting-edge tool tethering solutions to your existing tooling for safe work at height. This course aims to inspire and motivate those who work at height with tools — or who are responsible for those workers — to take action against the dangers of dropped objects, gain practical tethering skills and foster safety in the workplace. 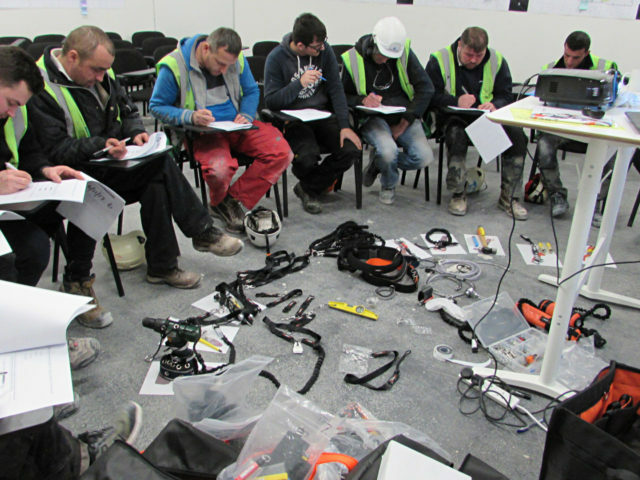 This course is aimed at individuals, supervisors and managers who use tools at height. 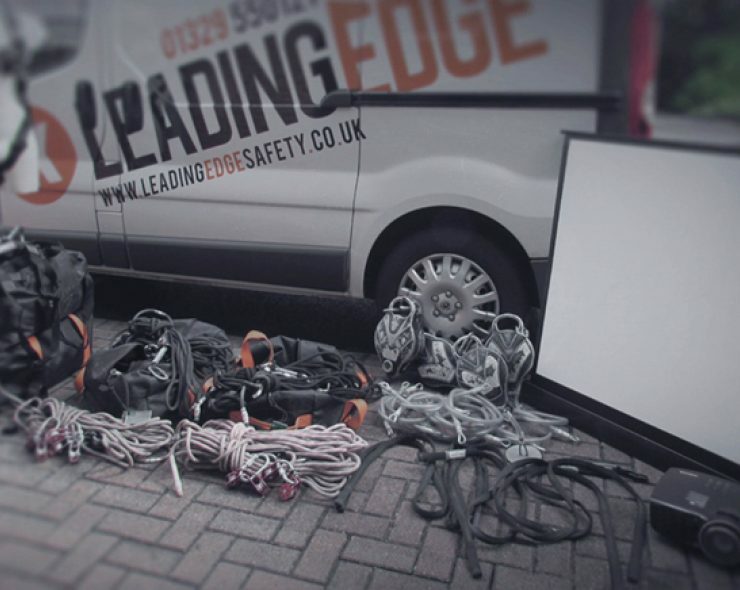 Every course is tailored to your unique working at height tool requirements, and trade. After covering statistics and legislation that help you understand why tethering is so important, you'll not only discover what testing methods to look for when buying tethers, but learn how to safely transport and store your tethered tooling. You'll also learn classifications of different tool types and the options available for tethering them, giving you the skills to select and apply the correct tethers to your own tools. The real benefit of this course is the full three hours you'll get to physically practice selecting and applying a wide range of tethers to different types of tooling. We'll also show you how to use the Leading Edge tethering roadmap to help you find a complete tethering solution. Correctly tethering a tool takes more than tying a piece of string around the handle. It's about fully understanding the risks, configuration and selection, equipment mechanics, usage and best practices. This course gives you the all the knowledge, awareness and practical skills to create a safe tool tethering solution. We believe your employees Tool Tethering skills should be proven just like any other Height Safety course. That's why every trainee must sit a multi-choice examination to demonstrate their competence to use tools safely at height. 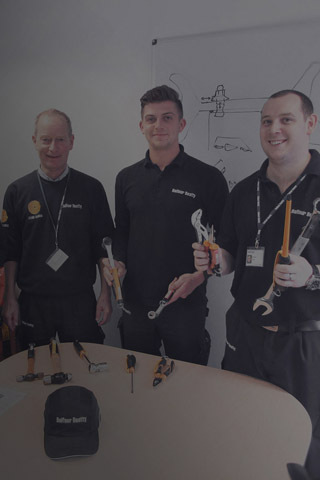 We provide our own projector, screen, laptop, the latest tool safety products, and a bag full of tethering equipment and tools to deliver the practical and theory lessons. We just need somewhere to teach. So if you're booking a course on your site, don't forget to arrange a training room that can hold the appropriate number of people. Through case studies you will cover statistics and legislation as well as the implication of a dropped object at height — helping you understand why tethering of tools is so important. 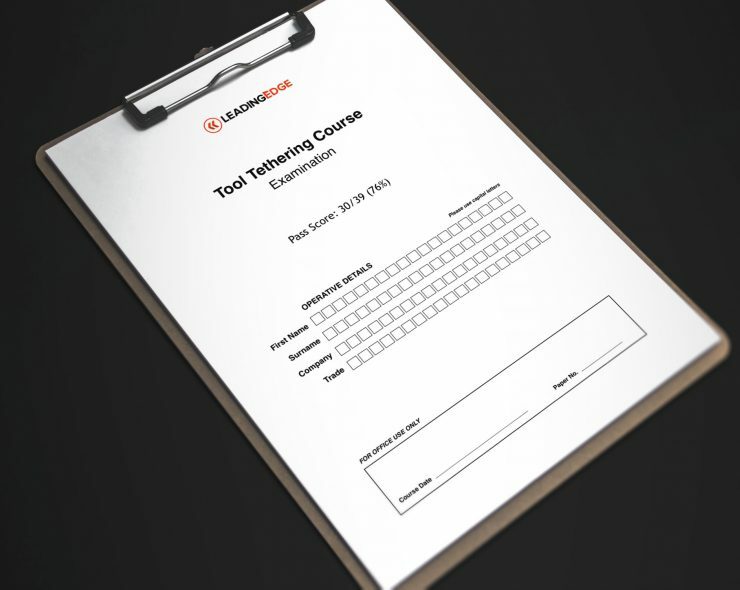 Through this module we explore how tool tethering solutions are tested, you will understand static and dynamic testing methods, safe working loads and safety factors. Helping you to confidently secure your range of tools and equipment with a suitable fit for purpose system. When using tools at height there are other factors which can result in a drop of an object. Through this session, you will understand how to prevent this through applying appropriate tethering systems and techniques when; using, transporting and storing a range of tools. Through this session you will discover how to best tether your tools, dependant upon there configuration, usage and dimensions. 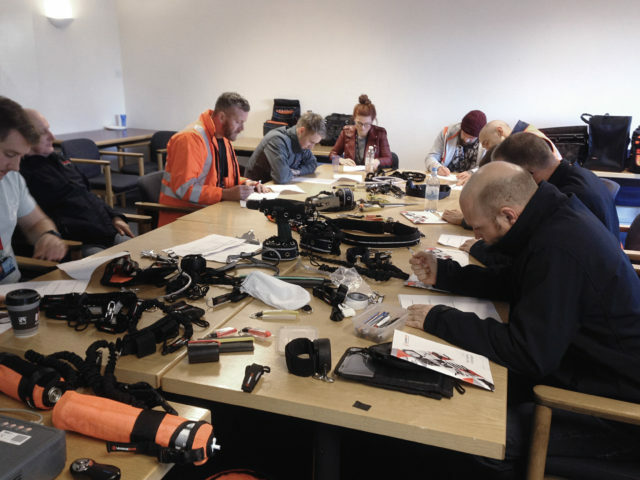 This practical session, will allow you sample and try the latest tool tethering products from lanyards to tool bags, in addition to retrofitting vast variety of tethering methods to your own tools to create safe working solutions. Learn how to use the Leading Edge Tethering Roadmap to find a complete tethering solution for your tools. By the end of this session you will be able to answer a few simple questions and follow the roadmap to find a complete end-to-end tool tethering solution for any tool. Practise selecting and fitting different tethering solutions onto a range of different tool types. Ask questions and discuss any remaining tethering query you have with our tethering expert.